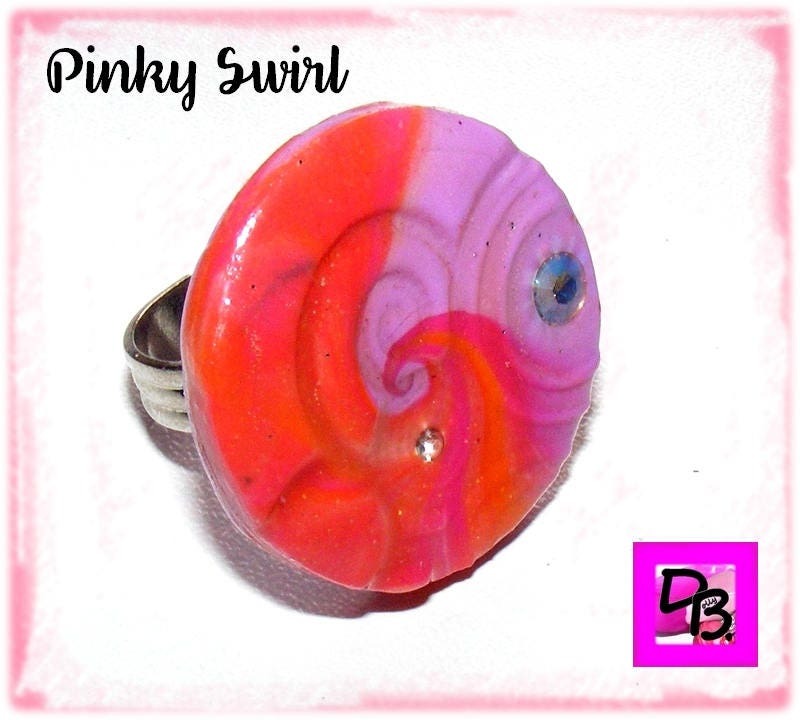 Ring made of polymer clay decorated with two Rhinestones, it reminds a swirl of color. This primer is European limiting RoHs compliant using the five metals proven harmful to our environment, chromium, mercury, cadmium, nickel and lead. My Label SRAJD No. 3784 (Self Representing Artist Jewelry Designer) ensures my creations are designed and made and crafted by myself. 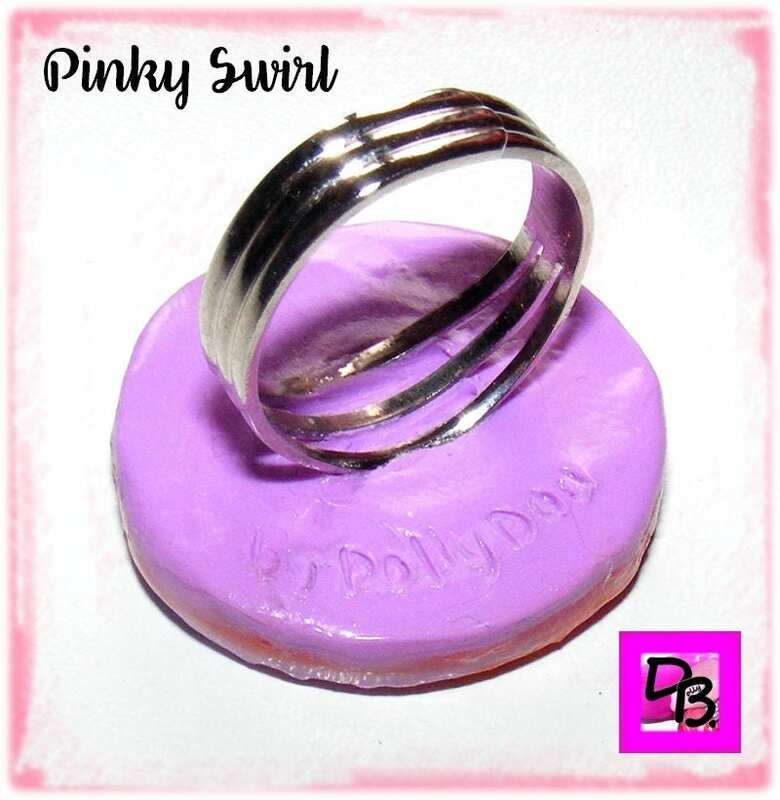 This ring will be delivered ready to offer.